Just a photo today as I've been bashing away at my horrendous comment reply backlog (sorry, y'all). 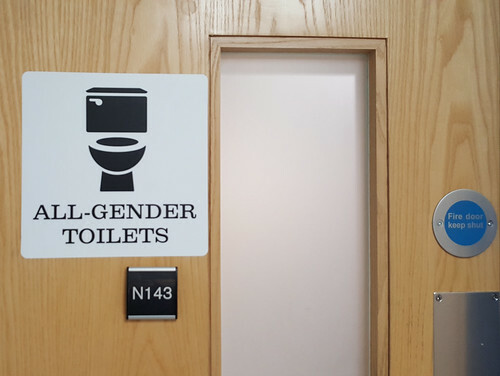 There are All-Gender Toilets in the Electrical Engineering building. I applaud you, EE building; well done. This entry was originally posted at https://nanila.dreamwidth.org/1209036.html. The titration count is at .0 pKa. It's the first I've noticed on campus, so they're at the vanguard. Not what I would've expected, but very welcome. Inclusivity: it's not that difficult!